Kiehl’s began as a New York apothecary in 1851. For more than 160 years, we have developed uniquely efficacious formulas made with the most advanced and natural ingredients to serve our customers the finest skin and hair care. Please note that due to Air Safety regulations, we cannot ship orders containing Hazardous Materials (sprays-alcohol) through the express or priority service. Orders containing hazardous materials will be shipped through Expedited Parcel service. Take note that some remote areas can only be delivered by air. For these regions we will unfortunately be unable to ship orders containing Hazardous Materials (sprays-alcohol). 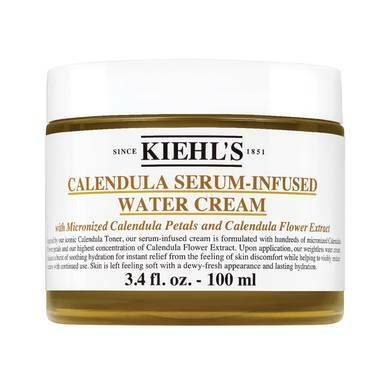 Calendula Serum- Infused Water Cream pre-sale AND limited edition tote page on orders $75+ at Kiehls CA!